Love In the Language of Yarn and Education : All children deserve to feel warmth and comfort! All children deserve to feel warmth and comfort! Two years after the start of the conflict the arrival of the millionth refugee across the Syrian border is a stark illustration of a crisis that is bringing fear, pain and suffering on a massive scale. Within Syria itself violence is intensifying and more than 4 million people, at least half of whom are children, are in urgent need of humanitarian assistance. As this crisis approaches its third year, the initial trickle has grown steadily until now more than 7,000 refugees cross Syria's borders each night. 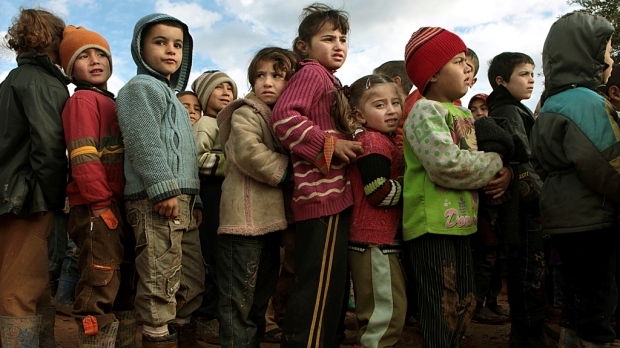 The scale of the crisis facing Syria's children requires a massive response from international humanitarian organisations. 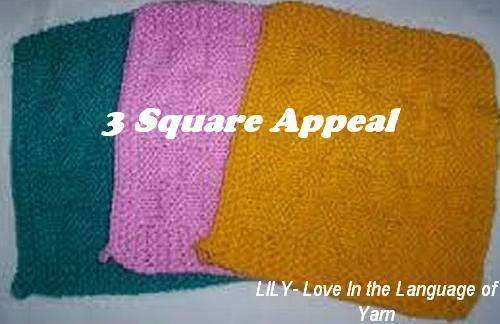 Help 'Lily' Love In the Language of Yarn Knit Squares to make blankets for these Syrian children. Often just having one thing that the children can claim as their own and keep with them on their (sometimes rather tumultuous) journey helps them a great deal. I realise the cost of sending items by post especially to Turkey can be costly. Therefore I am asking everyone PLEASE if you could knit or crochet just 3 squares they would fit easily into an envelope and postage shouldn't be too great. We will then sew them together and a child with nothing gets a warm and colourful, cover for their bed! Row 2: knit. These two rows form the 'garter' stitch knitting pattern for your square but you use any stitch you prefer, be as creative as you like. 'Lily' wishes to thank all those private individuals and businesses which support us. Without you, there would be no 'Lily' – Love In the Language of Yarn. We work hard for the day when we are no longer needed to help keep Children warm. 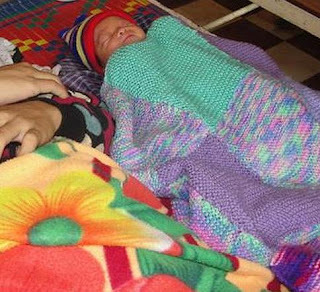 I am a knitter and blogger and was wondering if I could see what I can do to get some knit blankets, hats, sweaters, vests, small knit toys together and I would pay to have them shipped to you - would you be able to distribute them to the refugees? Every time I hear about them on NPR, my heart aches and that is telling me that I should do something. Thank you for your Interest. We would be delighted to accept any help with knitted Items and distrbute them to the refugees. I will email you shortly.